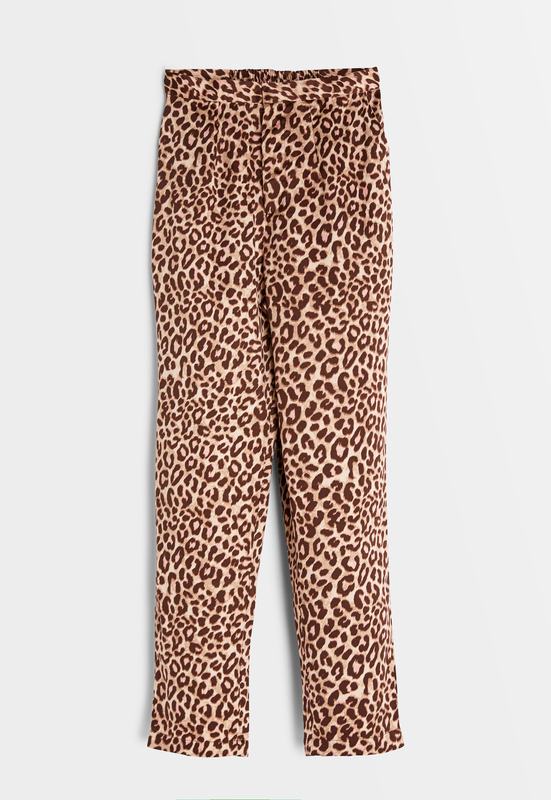 Stylish pants in leopard print from Bubbleroom by Carolina Gynning. - Small elastic at the back, which makes the waist stretchy. - Fly and button closure at the waist. - Inside leg: 70 cm in size 36.